Every year, the sheer volume of patient immunizations makes preparing for the flu season a mad scramble for pediatricians. One of the biggest challenges is getting patients into a clinic for a flu shot. When this effort falls short, the results can be deadly. A reminder of these dire consequences came in 2017 - in the state of Texas alone, more 11,000 people died in the flu epidemic. The medical community of the state and their association, the Texas Medical Association (TMA), were determined to reduce these numbers for the 2018 flu season. One strategy was to take the flu immunizations to the patients, rather than hoping they show up at a clinic. The funds for this flu prevention effort came from an innovative program of the TMA called Be Wise - Immunize, which is part of the TMA Local Impact Grants program. Established in 1911, El Paso Pediatric Associates is one of the oldest and most respected pediatric practices in the Southwest. While it might be a "old dog," it has many new tricks. This is especially true in its flu immunization outreach program. In a recent interview, Roger Hovis, the operations manager of the clinic, noted that the practice sees a large population of children on Medicaid and others whose parents don’t have insurance, such as migrant workers. 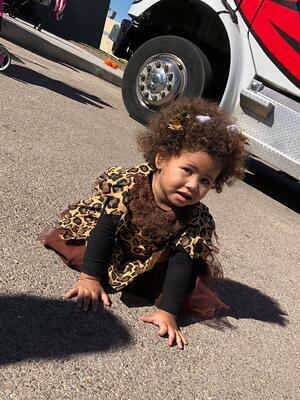 In a press release from TMA, one of the El Paso Pediatric Associates providers shared her thoughts on this Halloween party. 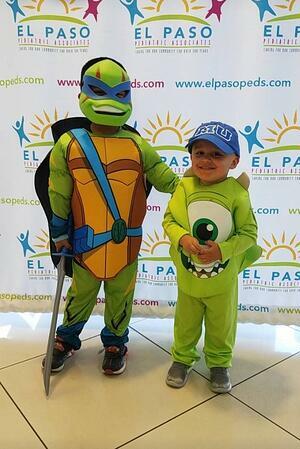 El Paso Pediatric Associates is a long-time PCC client and it uses the pediatric-focused EHR to supercharge its immunization outreach efforts. “The PCC platform has really helped our practice become more efficient with our business practices - billing, insurance processing, and collections,” said Hovis. “Plus, it has also allowed us to efficiently reach out to our families when it comes time for any preventive treatments such as immunizations. “The PCC platform allows us to generate lists of children who are due for flu shots or any other immunizations and then contact them with emails, texts or phone calls. This technology is easy to use and is very effective, saving time for our staff. This comes in handy during a very busy season such as fall and winter. Talk to us for more information on how the PCC EHR platform can help any pediatric clinic reach more children with preventive programs. The Texas Medical Association accepts applications for Local Impact Grants three times each year. 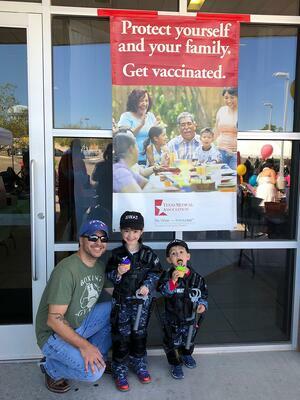 Events can focus on any recommended vaccination for children and adults. TMA members, county medical societies, TMA Alliance chapters, and medical student groups can apply for grants of up to $2,500. Physicians in Texas can find out more by clicking on the Be Wise - Immunize Quick Start Manual to start planning an immunization clinic. For more information about TMA’s Be Wise - Immunize program, including the Local Impact Grants, contact Tammy Wishard at (800) 880-1300, ext. 1470. Immunization grants from the American Academy of Pediatrics and the Center for Disease Control are also available. These days, healthcare is all about the patient experience. It's a buzzword that abounds, but..
On any given day, in the waiting room of any pediatric office in the United States, the..